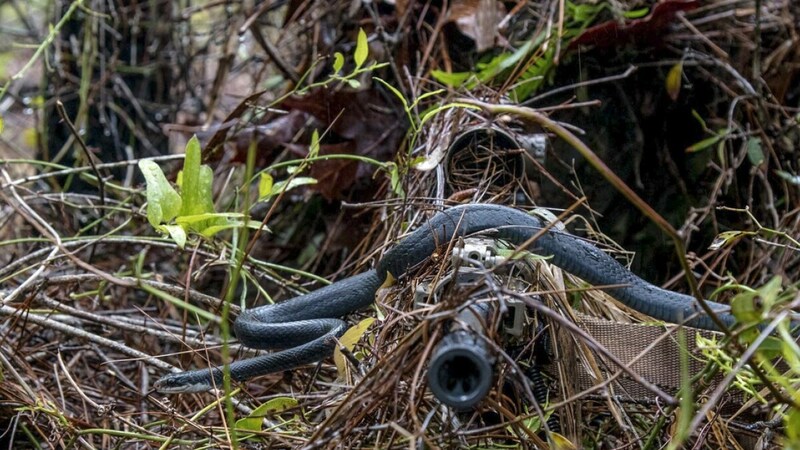 The Army’s proposed next generation of sniper camouflage began its first round of testing in Florida last month. 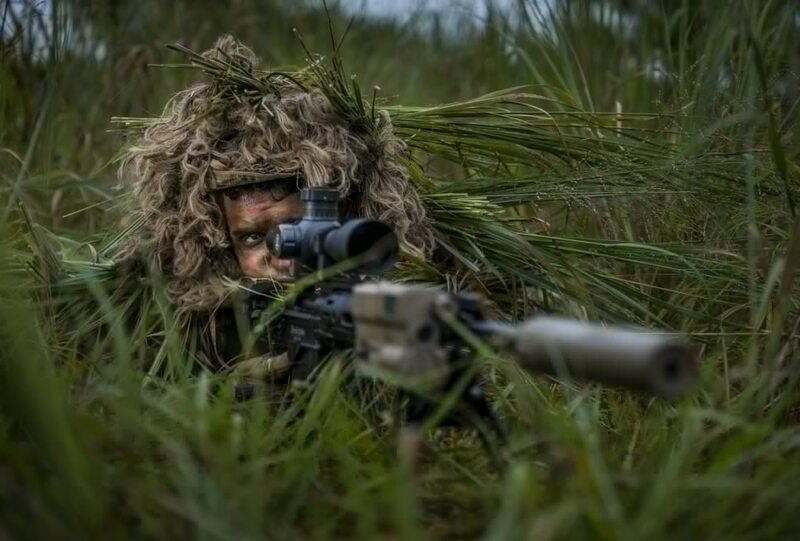 Termed the Improved Ghillie System, or IGS, contenders for the new lightweight system designed to break up the outline of a sniper’s figure while in a shooting position or stalk was put through several days of visual tests at Eglin Air Force Base in Western Florida by snipers drawn from across the Army. 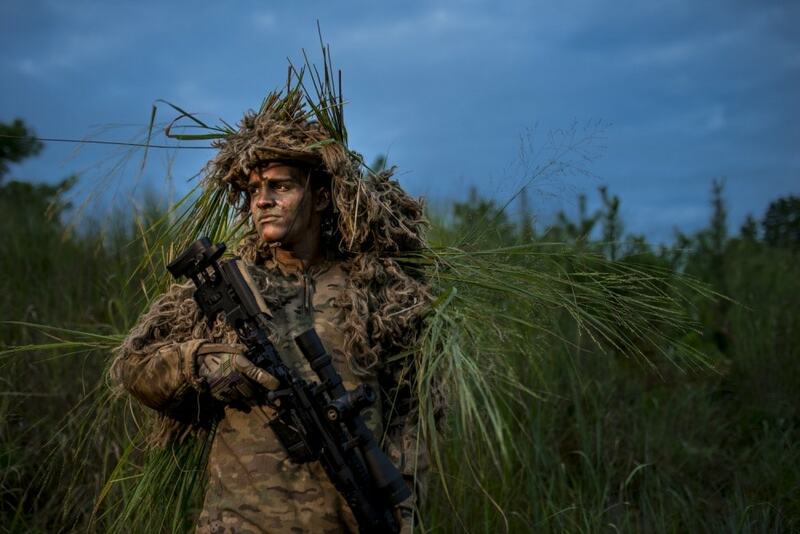 The system is intended to be the service’s first new ghillie suit in a decade, replacing the legacy Flame Resistant Ghillie System first fielded in 2008. …but the Army says many snipers don’t use much of the current kit that is supplied with the suit, electing to make their own camo instead. The new IGS is planned to be more accommodating. The requirements for the IGS, announced earlier this year in a request for information to prospective contractors, detailed that the suit must not weigh more than 5 pounds, be capable of stowing in the top flap of a MOLLE pack, and able to be donned and doffed in less than 2 minutes. The suit must also be quiet while the wearer is moving, a benchmark determined by creating “no audible signature” at greater than 50 meters. While the IGS doesn’t address flammability in its title, its material should have a slower burn rate than burlap and self-extinguish when an ignition source is removed. 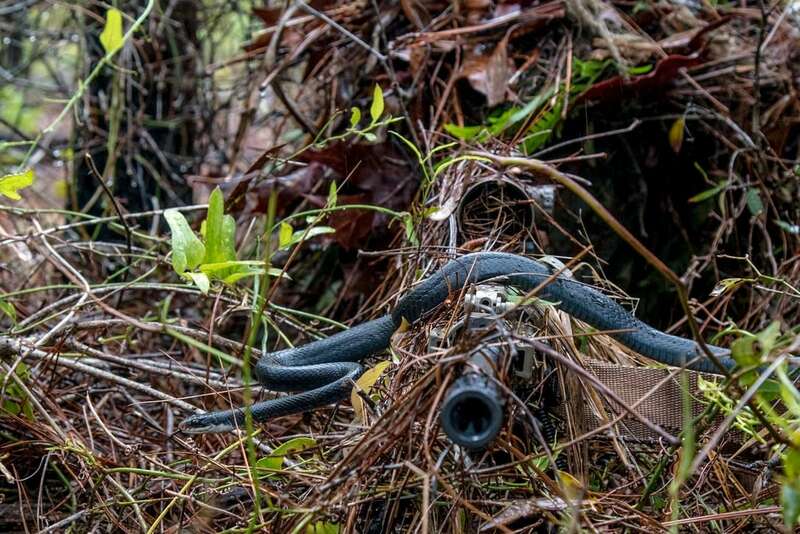 The Florida tests last month saw snipers from Special Forces, Ranger regiments and other units wearing the proposed IGS models while concealing themselves in Eglin’s mixed woodland and scrub environments while other snipers tried to locate them at distances ranging from 10 to 200 meters. 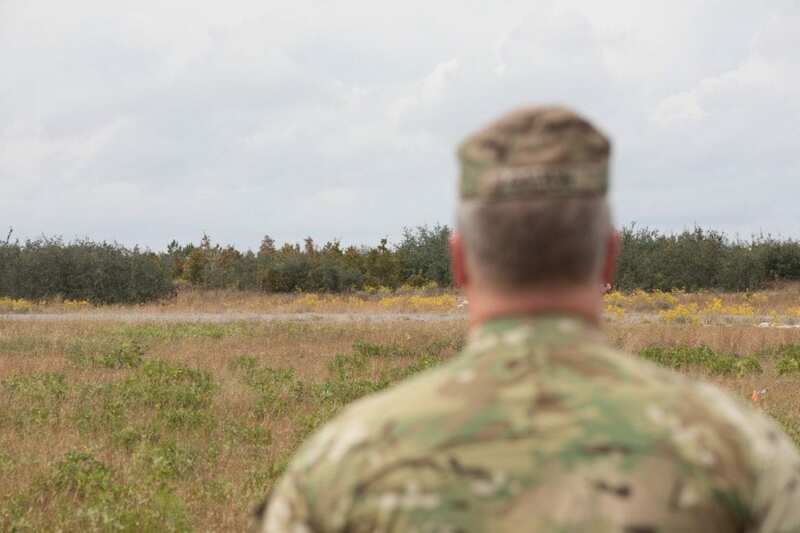 The Army intends to field 3,500 of the new suits, which will be enough to equip snipers across active, guard and reserve units as well as those in the U.S. Special Operations Command. Further trials include planned acoustic testing by the Army Research Laboratory to find out how much noise the IGS proposals create under field conditions followed by limited user evaluations slated for early 2019 that will see the suit fielded in small numbers.